Josef Gonzalez, left, Raydon Baboolal, Avidesh Marajh and Daniel Ramsook (mentor) will represent TT at the international robotics competition in Mexico. 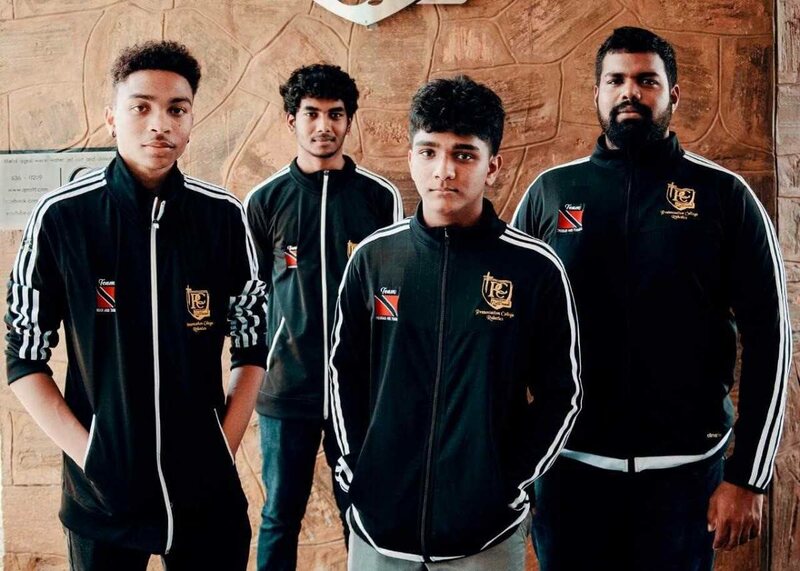 THREE form six students of Presentation College Chaguanas will be representing TT at the First Global Challenge in Mexico City, Mexico from August 16-18. The team-based international robotics competition will see the three students, Avidesh Marajh, Raydon Baboolal and Josef Gonzalez, flying TT’s national colours amongst teams from 180 countries. The team placed 16th overall last year at the inaugural games in Washington DC. The First Global organisation is a US-based, not-for-profit group whose goal is to generate interest in STEM (science, technology, engineering and mathematics) and to drive youth to innovate and create technology-led solutions for global social issues. The theme of this year’s competition is Energy Impact. Teams are responsible for designing a robot to complete engineering tasks tied to the theme. The team will be accompanied by their mentors Daniel Ramsook and Shastri Ram, the 2011 President’s Gold Medal Winner. Reply to "TT students for robot olympics"